There are a number of things to consider when choosing an engagement ring. Each characteristic adds to the look and feel of the ring, whether it’s a subtle detail or a major design element. Knowing the 4Cs will help you make the right choice when it comes to the color, clarity, cut and carat of your diamond. 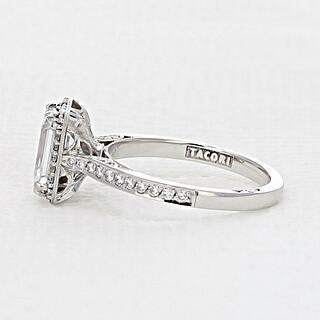 Cut and carat have an especially great impact on the look of your ring. Some ring styles are better suited for larger carat diamonds and some for smaller. Just as some diamond color levels look finer on certain metals. Deciding on a diamond will help to navigate the other important ring characteristics. The mounting is another name for the ring without the center stone. The anatomy of a ring consists of the body foundation, the band that goes around your finger, the shoulders, which are the two side sections connecting the body to the head, the head being where the center stone is attached. 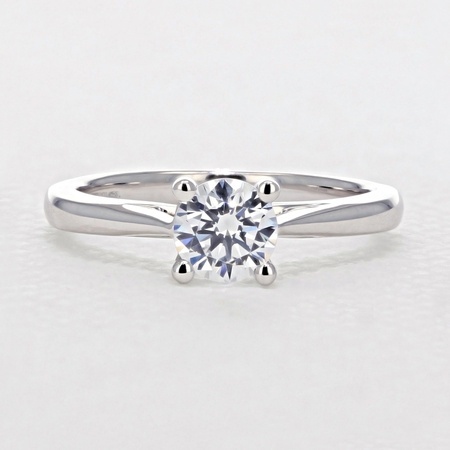 There are 2 basic mountings for any engagement ring- a classic round solitaire mounting that allows the diamond to sit closer to the finger, and the cathedral style, which raises up like an arch. The foundation you choose could depend on your fashion and/or lifestyle. Many people choose a classic mounting because it shows off the diamond and pose less risk of snagging on things because the diamond closer to the skin. Others prefer a cathedral foundation because the high center adds detail and elegance when viewed in profile. The sides of a cathedral mounting also help to protect the diamond. 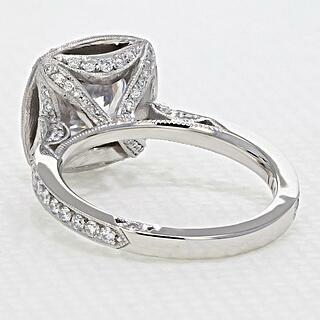 Prongs are a head detail of the ring and come in many different variations. 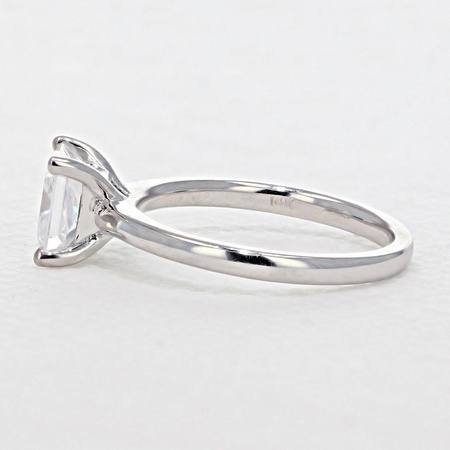 The prong style can offer more or less protection to the diamond. 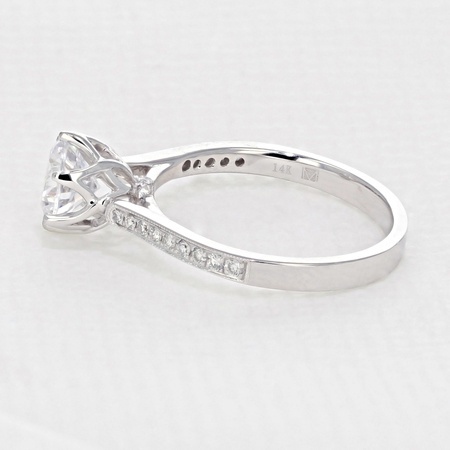 4 prongs show more of the diamond and let in the most light. 6 or more prongs can make the diamond appear larger and offer more protection. Other common custom styles include Tulip Head, which looks like the petals of a tulip, buttercup heads, which are similar to tulip heads, but often have more detail, and basket heads, typically used for very large diamonds that require a lower setting. There are a few common metals people choose for engagement rings. 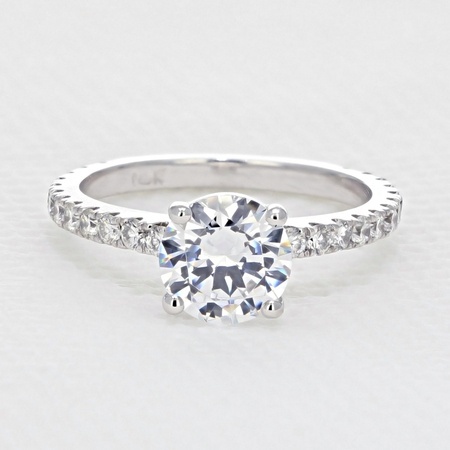 Platinum is the most popular of the engagement ring metals. It is a natural white metal that’s known for its durability. 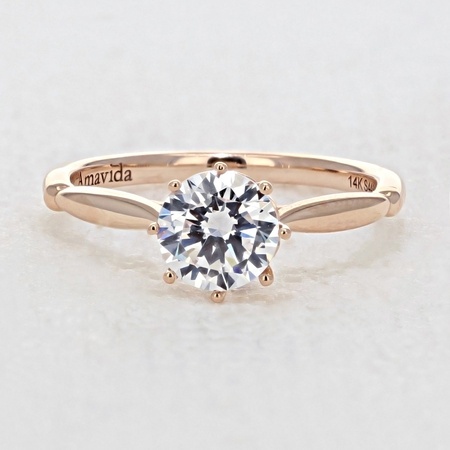 Yellow gold is a classic metal that has been used in engagement ring design for generations. White gold is yellow gold that is mixed with metal alloys and has a rhodium plating to give it its whiteness. White gold can be an alternative to platinum, but requires more maintenance. Rose Gold has become increasingly popular for its blush color. Unlike white gold, it doesn’t require updated plating. This is a major engagement ring characteristic because it’s the difference between having one single diamond or several smaller diamonds to enhance the style of your ring. Side diamonds are set in the band and can run all the way around the ring, half way, and even just on the head. Nowadays, it is very common for rings to have this side diamond detail, but these smaller stones can vary in settings, which changes the look of the ring entirely. Pavé – Pavé set rings, coming from the French word for “paved,” look as though their surface has been paved in diamonds. Pavé set diamonds are held in place by small beads of metal that allow them to sit close together. 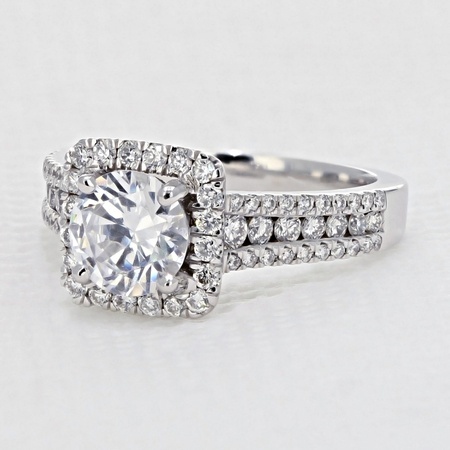 This type of setting offers plenty of light to come through, enhancing the sparkle of each diamond and the center gem. Channel – For a more modern look, channel settings are a great choice. 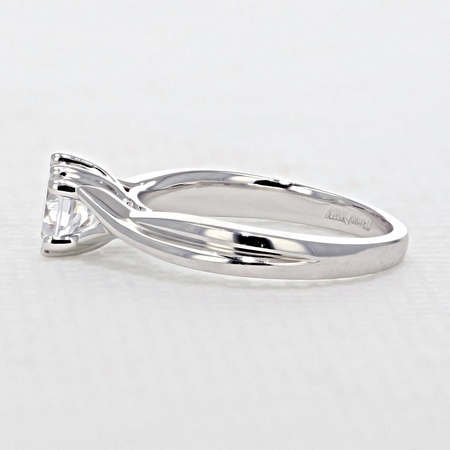 A “channel” is carved into the body of the ring and is filled with diamonds, which can be of various shapes and sizes. Unlike pave settings, there is visible space in between round diamonds set in channels. Micro-prong – Micro prong set diamonds are timeless and have a more exposed side view. At Icing On the Ring our micro prong collection has several highly stylized options. 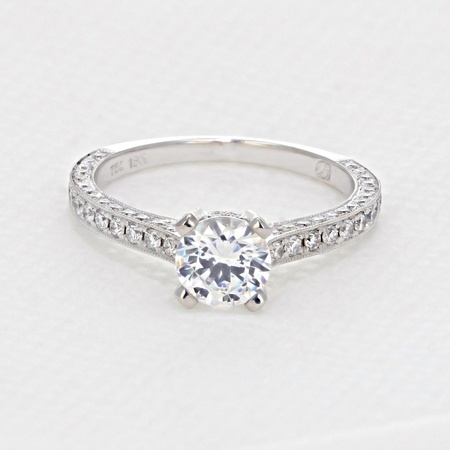 Micro prongs have become the dainty engagement ring trend many women are choosing. Some rings have design elements that can only bee seen when looking at the ring from a certain angle. 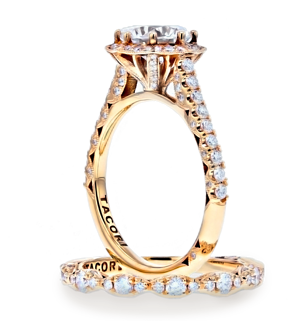 For instance, the Tacori crescent, which is on the profile of every Tacori ring, has different variations depending on the collection. Some rings have surprise diamonds that sit just under the center gem, others have elaborate baskets, or engraved elements. Often times it’s the details that give the ring its personality or match the personality of the person wearing it. Book an appointment with an expert at Icing On The Ring today and we can find the characteristics that work best for your engagement ring.